You know that we love animals here at Fun Kids – we’ve got a whole show dedicated to them everyday at two in Animal Hour after all! So we absolutely loved this story. 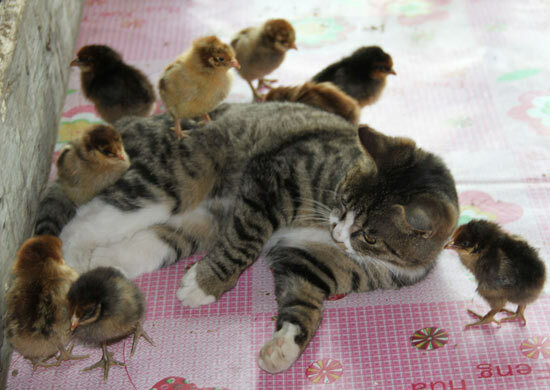 A chinese farmer, called Lao Yang, recently put 30 newborn chicks in an open cardboard box in his house and one day returned to find his cat with them. You may be worried at this point, but guess what happened next! Ever since the cat has been looking after them – playing, licking them and keeping them warm. Amazing! 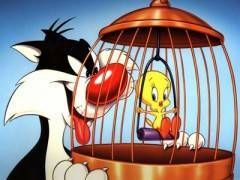 Perhaps Sylvester and Tweety should learn something from this! If you like this, then click here to check out our gallery of cute animals!